COMMERCE, Calif., Sept. 27, 2017 /PRNewswire/ -- To reveal the new partnership between the L.A. Clippers and Smart & Final Stores, Inc. (NYSE: SFS), the Los Angeles-based neighborhood warehouse grocery store recently invited L.A. Clippers forward Sam Dekker to its Downtown Los Angeles location to surprise shoppers. Dekker went undercover, posing as the newest team member of the Smart & Final Extra! store, unbeknownst to store associates. The surprise appearance celebrates the first-ever partnership between the L.A. Clippers and Smart & Final, the ultimate one-stop shopping destination for game-time get-togethers. Becoming the official grocery and warehouse partner of the L.A. Clippers is part of the West Coast-based retailer's ongoing efforts to place food, community and people at the forefront of its unique shopping model – one that offers everyday value and farmer's market freshness to household and business shoppers. To ensure the surprise would be a sweep, Dekker sported Smart & Final gear and played along as Smart & Final store manager Justin Jensen introduced him to the other store associates as the newest team member. The surprise continued as Dekker bagged shoppers' groceries and helped shoppers carry their groceries to their cars. The L.A. Clippers forward also playfully dunked groceries into bags to help shoppers and associates pick up on his real identity. 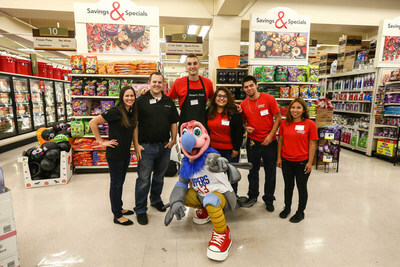 "I am thrilled to have been a part of this surprise that not only brought a few smiles to the shoppers and store associates, but also celebrates how our teams are joining forces for the upcoming season," said Sam Dekker. "I am looking forward to working with Smart & Final and the Clippers on creating moments like this that really engage with the L.A. community." Central to the partnership is an ongoing series of in-store promotions and contests, in which shoppers will be able to enter to win a variety of prizes such as game and season tickets, suite night and courtside experiences, and Smart & Final gift cards, courtesy of Smart & Final and the L.A. Clippers. The in-store promotions will begin after the season starts in November 2017 and will continue through March 2018. "Team sports and community engagement go hand-in-hand," said Eleanor Hong, Smart & Final Chief Marketing & Strategy Officer. "Our new partnership with the L.A. Clippers provides a fun way to engage with our shoppers through one of their favorite passion points – NBA basketball. More importantly, we are thrilled about the opportunity to work with the Clippers in joint charitable initiatives to maximize our organizations' impact in communities across Los Angeles. Teaming up with Sam Dekker for this special surprise was a fantastic way to kick-off the partnership." Additionally, throughout the year, both parties will collaborate to support charitable causes in the greater Los Angeles area, including a Clippers-led Thanksgiving meal delivery initiative benefiting underserved families. "The Clippers are focused on our fans and our community," said Gillian Zucker, L.A. Clippers President of Business Operations. "Partnering with Smart & Final, with whom we share these common values, will amplify the impact we all have in Los Angeles." Full video from the appearance can be found here: http://bit.ly/2fzy2Nu. Smart & Final Stores, Inc. (NYSE: SFS), is a value-oriented food and everyday staples retailer, headquartered in Commerce (near Los Angeles), California. The Company offers quality products in a variety of sizes, saving household, nonprofit and business customers time and money. As of June 18, 2017, the Company operated 314 grocery and foodservice stores under the "Smart & Final," "Smart & Final Extra!" and "Cash & Carry Smart Foodservice" banners in California, Oregon, Washington, Arizona, Nevada, Idaho, Montana and Utah, with an additional 15 stores in Northwestern Mexico operated through a joint venture. In business for over 145 years, the Company remains committed to giving back to local communities through employee volunteer opportunities and Company donations to local nonprofits. 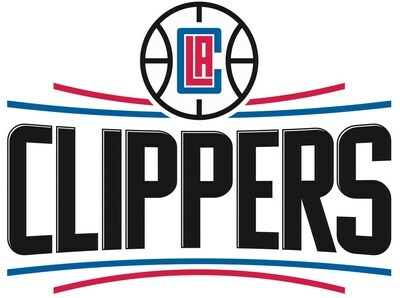 The L.A. Clippers are an American professional basketball team based in Los Angeles, CA. The Clippers are one of only two teams (San Antonio Spurs) to have won 50+ games in each of the past five seasons, and have the NBA's third-highest winning percentage in that span. The L.A. Clippers promote positive community involvement through the L.A. Clippers Foundation, a non-profit organization that teams up with sponsors and community organizations to facilitate various community outreach programs focused on children, education, and environmental & humanitarian values.